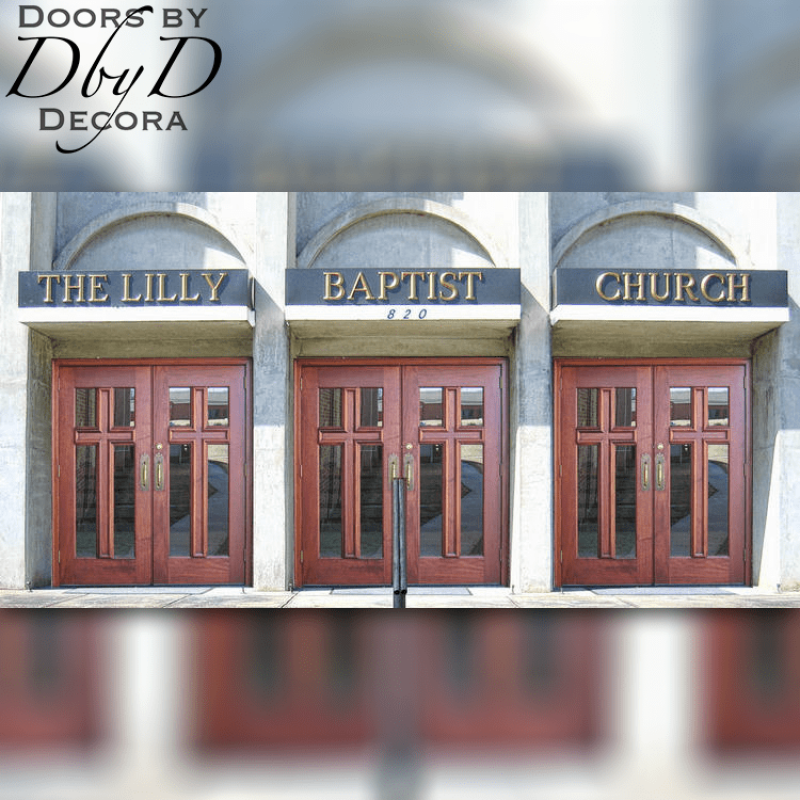 Your church entry doors say a lot about your church. 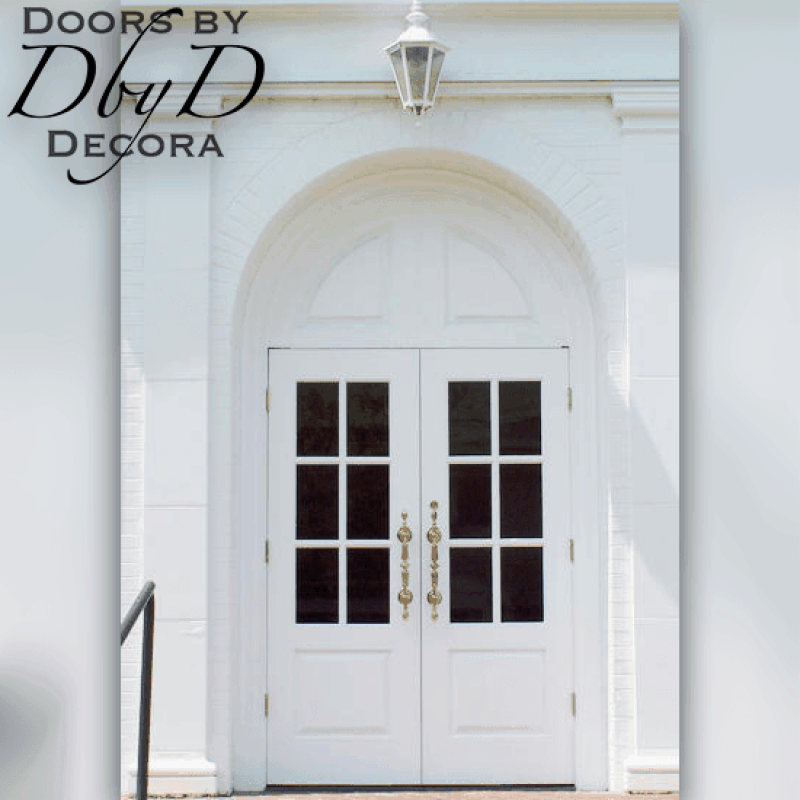 Whether you are building a new church, or remodeling your current church, be sure to spend some time thinking about your doors. 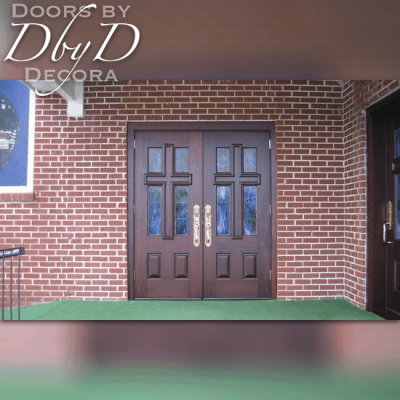 We build our church entry doors to fit your unique needs. 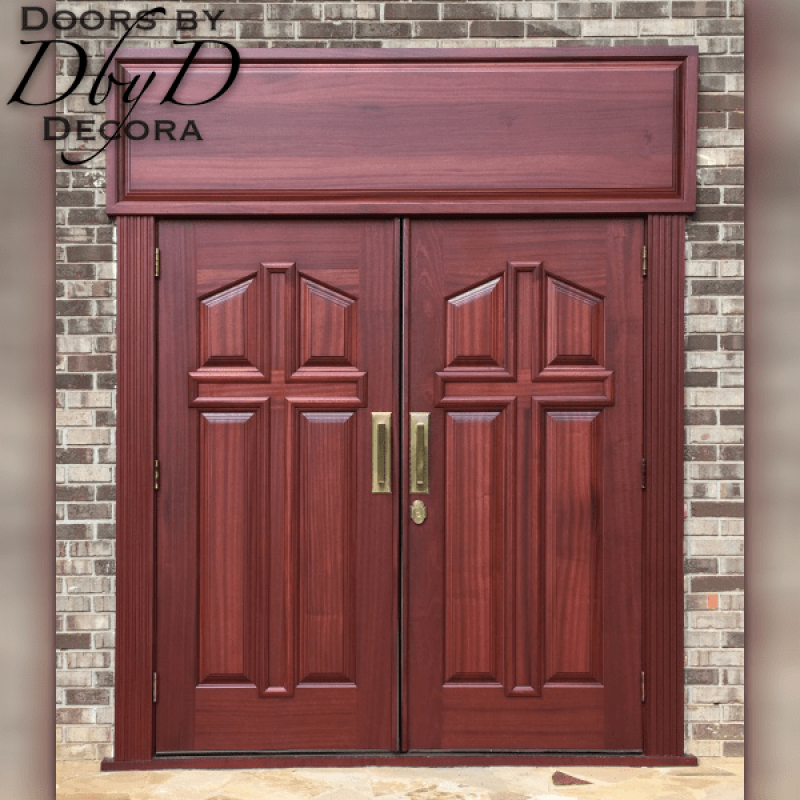 Therefore, each of our doors is like a unique piece of art. 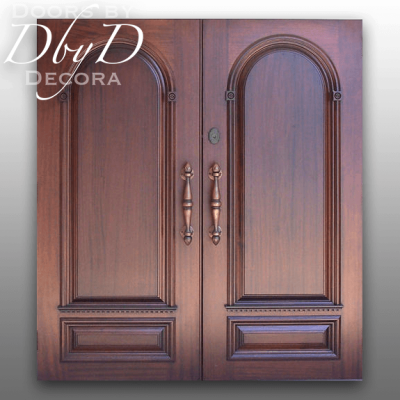 Our customers have proven, one of our most popular designs is our Cross Door. 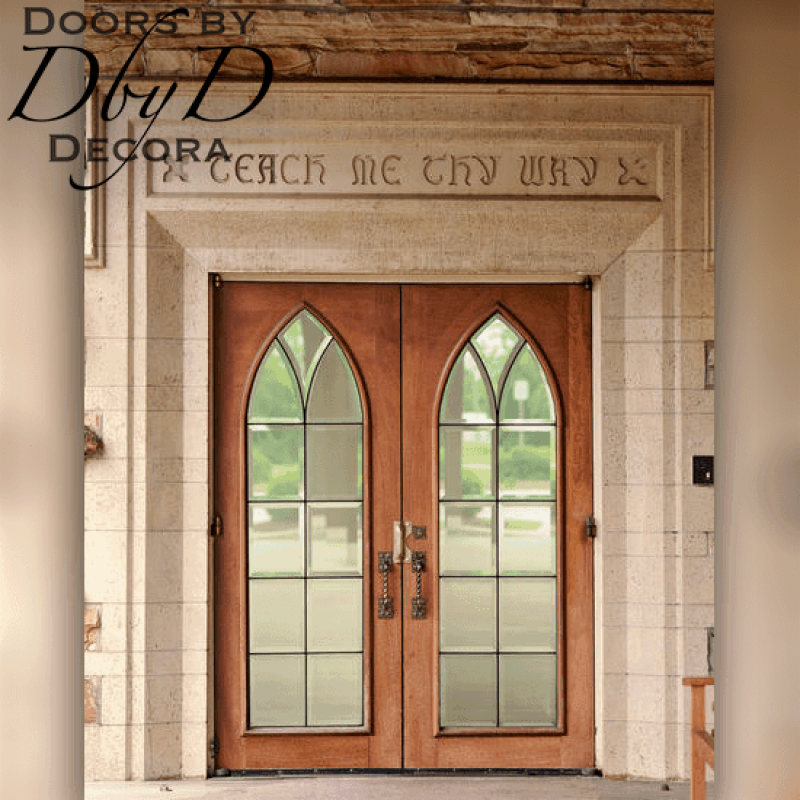 To make our Cross Door, we take our standard raised molding profiles and rearrange them to make the shape of a cross. 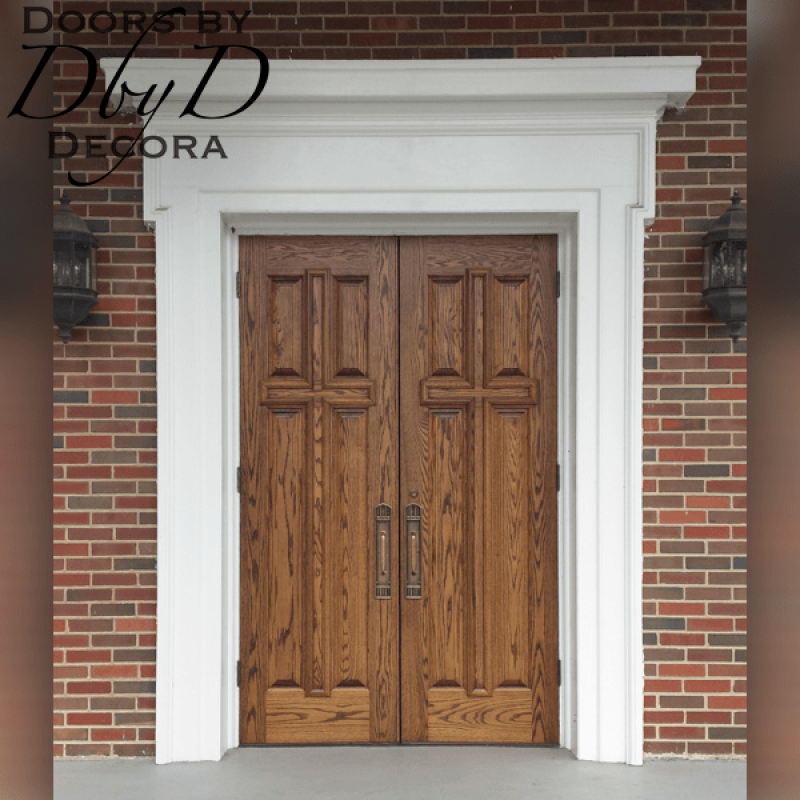 In addition, the raised panels on our cross doors can either be left as beautiful, solid panels, or they can be replaced with glass to allow light to enter. 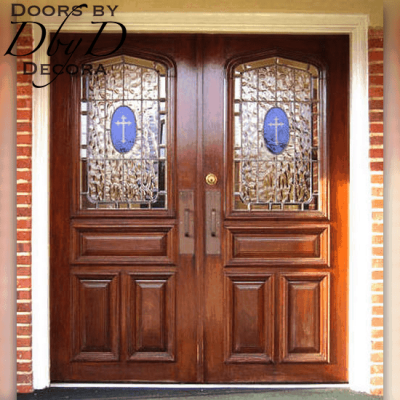 Another popular feature of our doors is our custom built stained glass. 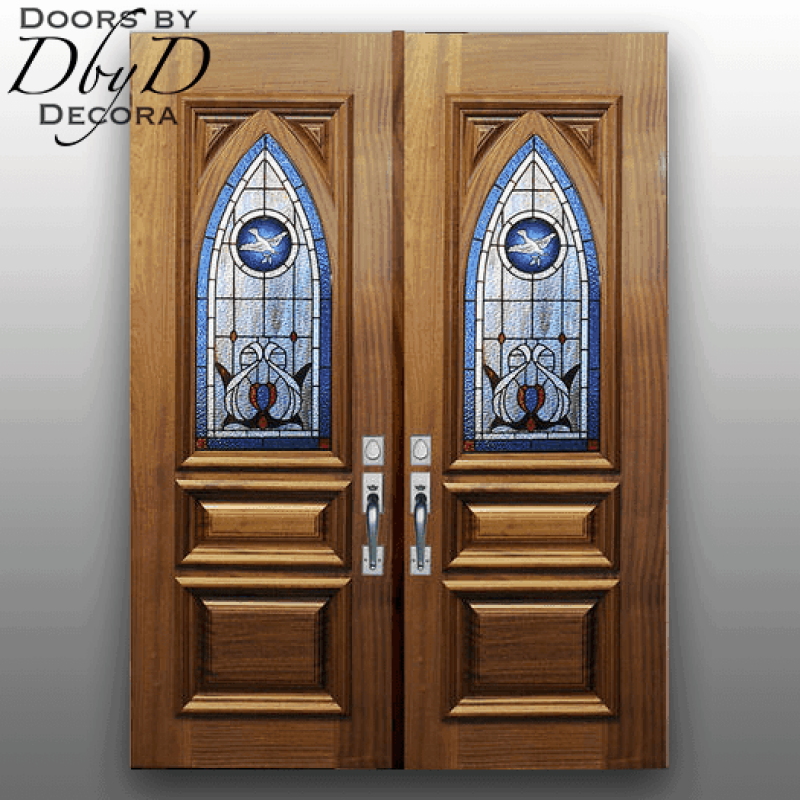 Stained and leaded glass have always been associated with churches. We have our very own, in-house glass studio where our stained glass artisans construct your windows from scratch. 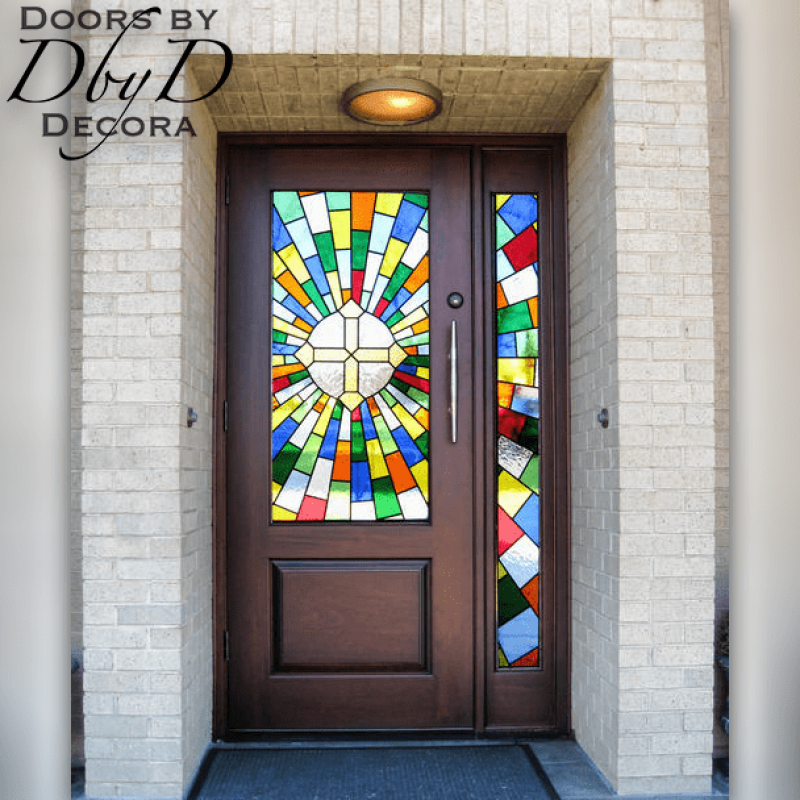 Our artists can build designs out of clear beveled glass, or add color and texture for a bolder look. We also have access to artists who can paint intricate designs directly to the glass. We can design something special for you, or you can send us your own designs and we’ll incorporate them into your glass. Our customers can also shop a large selection of commercial hardware. 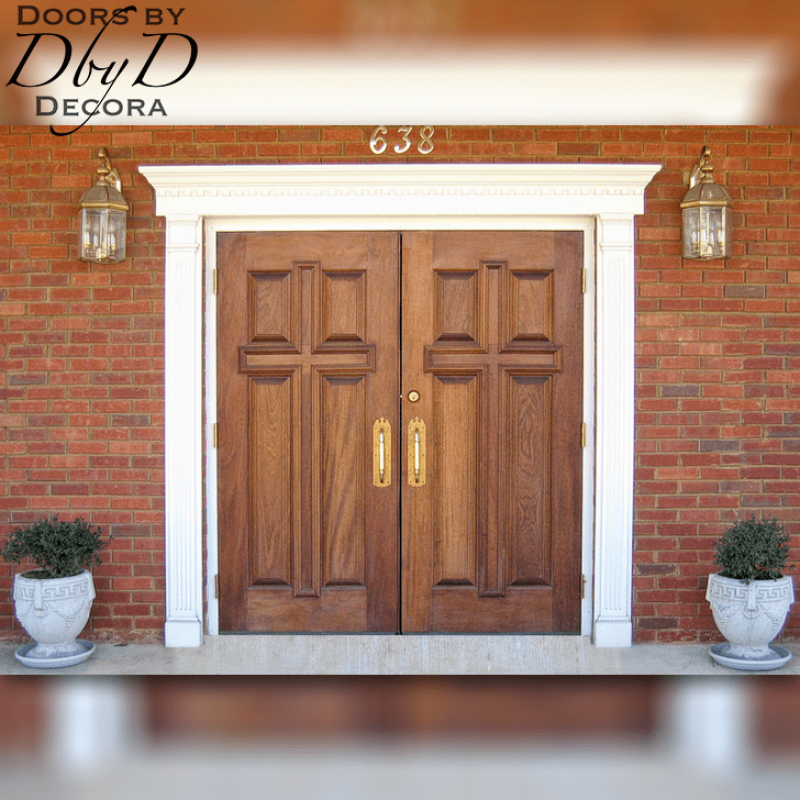 Since all of our doors are custom built, we can almost always accommodate things like panic hardware and door closers. 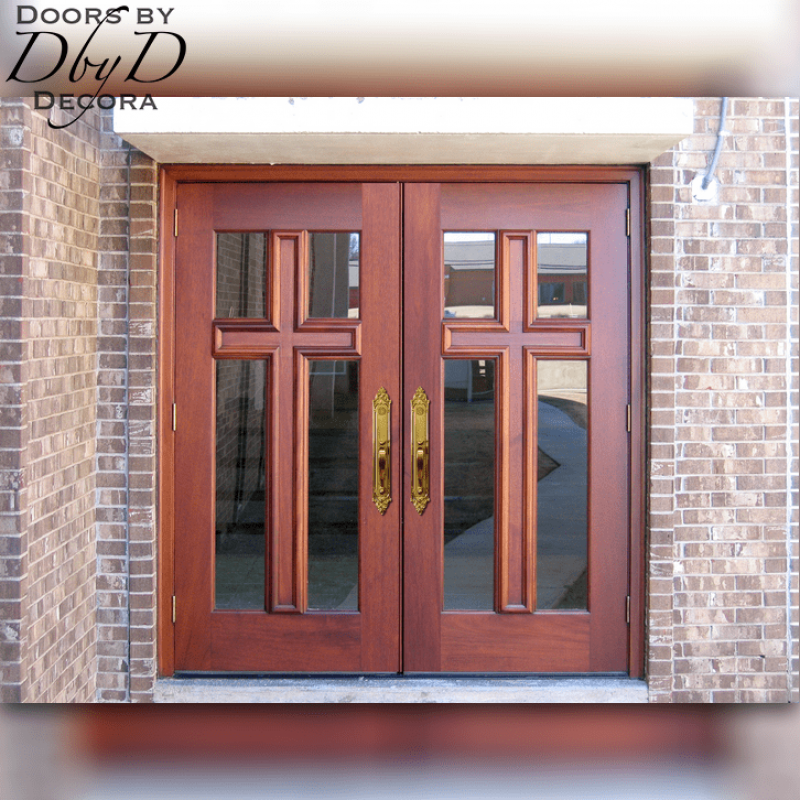 You can shop a large selection of our commercial hardware by clicking here.